Give your modern sports gyms classic beauty through our advanced technology. That is the complex way of saying Advantage oil-modified gym floor finish goes down easy and stay beautiful, no matter how hard people play on them. 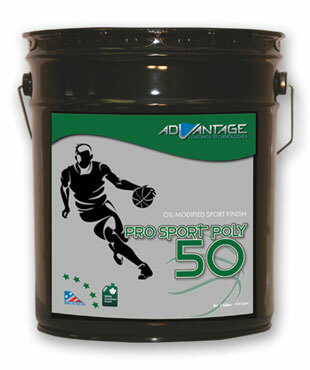 Performance Sport Poly 50 is a high solids gym floor finish that gives exceptional build. Sport Poly 50’s high-gloss protective coating provides unsurpassed chemical resistance and durability. Performance Sport Poly 43 is a lower solids fast drying oil-modified gym floor finish. Sport Poly 43 gives exceptional high-gloss and unsurpassed chemical resistance and durability. Pro Sport Seal provides great build and enhances the natural wood tones. 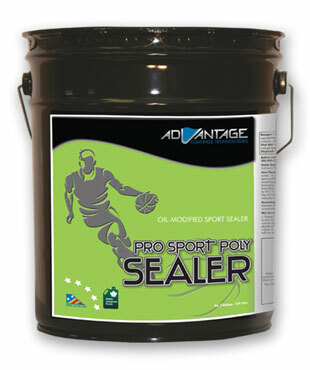 Pro Sport Seal is compatible with all oil modified Advantage Coatings finishes. Great with Advantage’s oil modified gym floor finish systems.